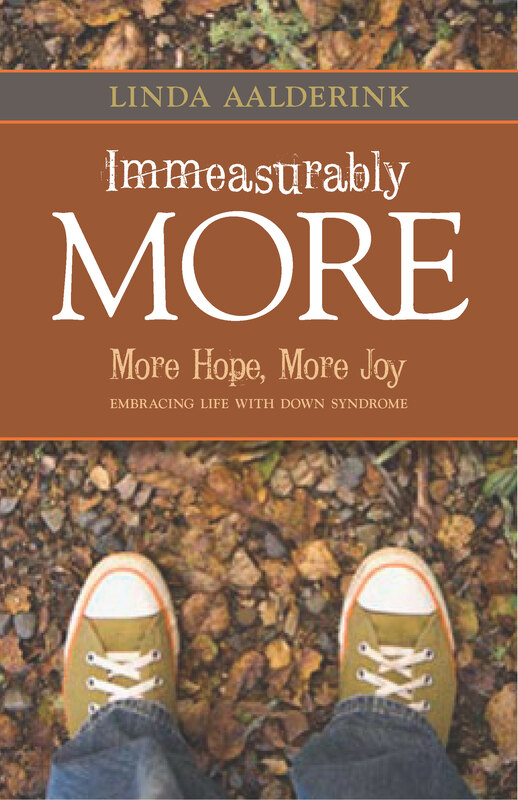 Immeasurably More is the heartfelt story of one family’s journey, a journey that showcases the amazing impact one person with Down syndrome can have. Immeasurably More shares anecdotes from the Aalderinks’ life together as a family, interspersed with personal observations and accounts written by siblings, friends, teachers, coaches and others. Loved your book! So encouraging to me as I raise my 5 year old Kelsey Joy. I have earmarked several sections to reread over time! MIPI has been a great support for us too! I actually grew up in Midland,MI (class of 1990) and my Gram was in Special Education. Isn’t God great in His plans?! Thank you for sharing your experiences, hope and encouragement! Thanks for taking the time to write, Kerry! It’s great to hear from a fellow Michigander! Yes, God’s plans are great. Always far better than my own! Every blessing to you and Kelsey Joy!